The other morning I was meeting my pal Heather for breakfast and somehow ended up leaving the house half an hour before I was supposed to. I assure you. That never happens. I found myself with 30 minutes to kill near Piazza Navona which can be kind of a wasteland of tourist trinket shops and bad gelato. Luckily a good cup of coffee is never far. 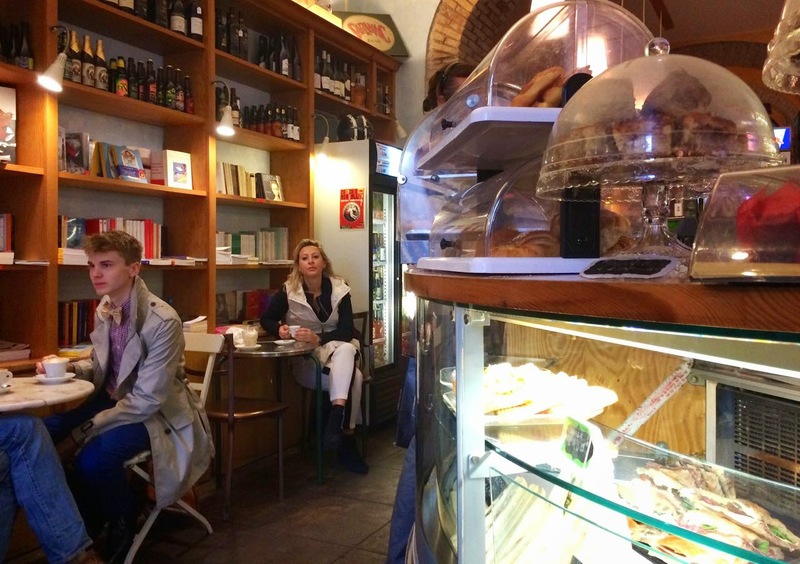 A favorite of mine, Cafe della Pace (like much of Rome these days,) is covered in scaffolding and not at it's usual charming self. I spied a cozy spot across the street that I had never tried before. 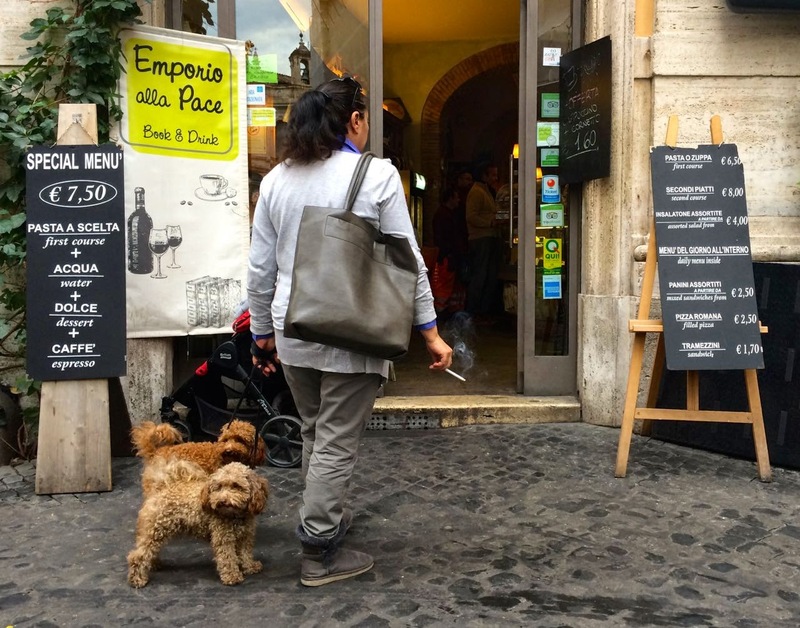 Emporio della Pace is filled with shelves of books, red velvet armchairs and locals reading the morning papers with tiny dogs at their feet. 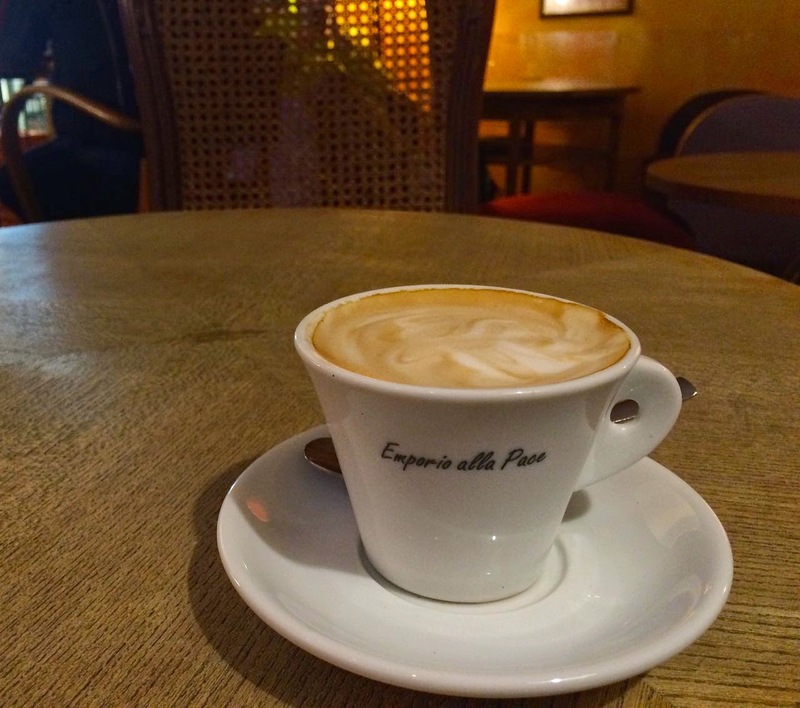 The baristas are friendly, the chairs are comfy and there is free wifi. I should leave the house early more often. 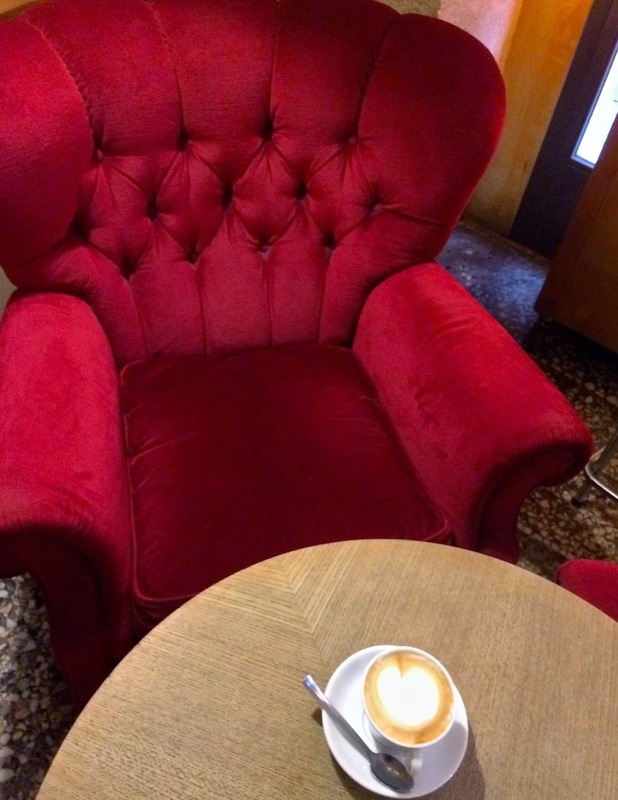 I love that red armchair – I've spent quite a few hours there with my computer! 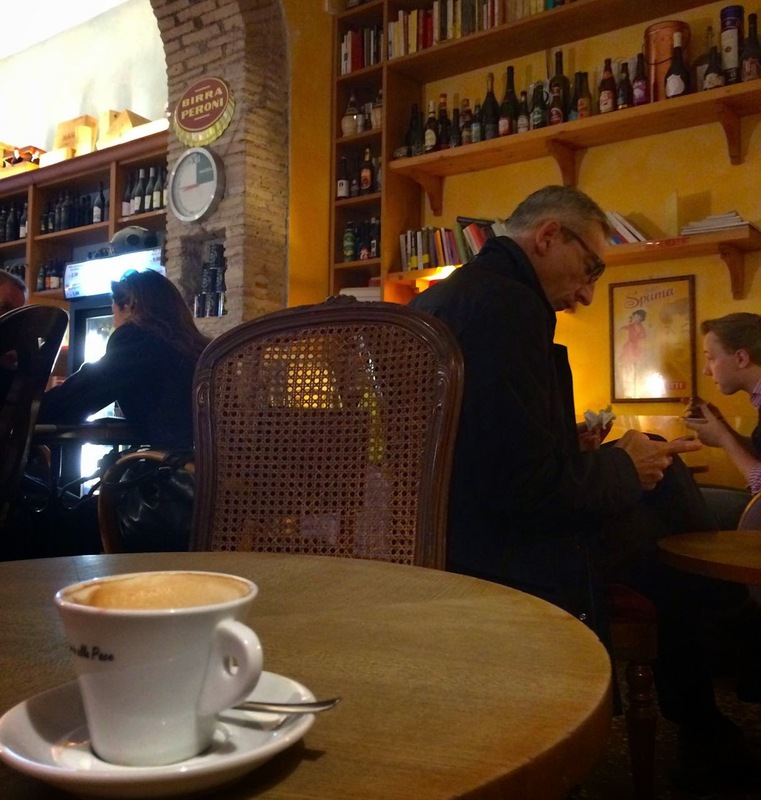 Any bar with a good cappuccino, wifi AND plush armchairs is an instant win for me.